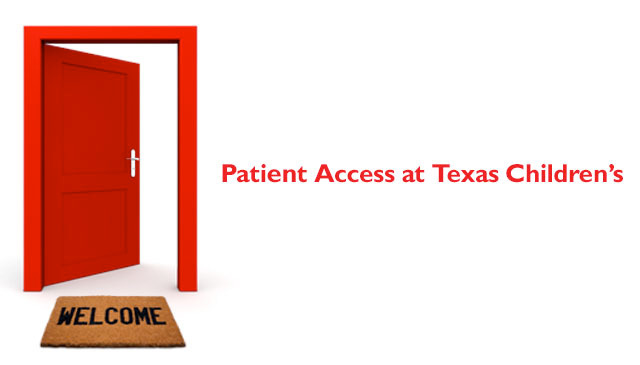 Launched in August 2017, Texas Children’s Patient Access Initiative is an ongoing, collaborative effort to improve patient access across the organization. Since then, Texas Children’s has made significant progress to ensure patients easily and conveniently get in the door so we can provide the care they need, when they need it. Below is a list of other tools and features we’ve implemented across the system to improve access, care coordination and patient experience at Texas Children’s. Direct Scheduling: Texas Children’s MyChart offers direct scheduling that allows current patients to quickly and easily schedule their appointments online. Click here for more details. Online Scheduling: Texas Children’s offers online scheduling in English and Spanish to allow current, new and referred patients to schedule appointments online. Watch this video tutorial on how to schedule appointments online at Texas Children’s. Electronic waitlist: Texas Children’s MyChart has an electronic waitlist that automatically sends texts and email notifications when appointments become available sooner. MyChart Spanish: Texas Children’s MyChart is now available in Spanish to ensure better care and communication between providers and our Spanish-speaking patients. Click here to access the MyChart Spanish FAQs. For more information about MyChart, click here. Provider Connect gives referring physicians and their staff direct access to our resource team for questions about referrals or issues related to accessing or navigating Texas Children’s services. EpicCare Link is a web-based provider portal for Texas Children’s that gives referring physicians and their staff secure, convenient access to the hospital’s electronic medical record (EMR). The space utilization pilot program explores space sharing between our specialty clinics in Wallace Tower. The initiative is helping identify underused or vacant spaces that can be used in clinics in need of additional space for appointments.